Young star Nikhil has been on a roll ever since the hat-trick successes of Swamy Ra Ra, Karthikeya and Surya Vs Surya. The young actor is being admired for his penchant for choosing unusual scripts within the commercial format. 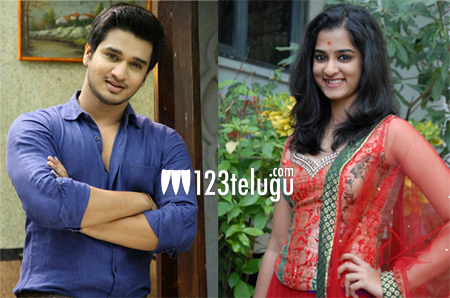 Nikhil’s next film, Shankarabharanam, will have its shoot commenced tomorrow and the makers will be unveiling the first look poster on this occasion. Shankarabharanam is a crime comedy with a realistic touch and it will be shot majorly in the rustic locales of Bihar and several other North Indian towns. The film will be directed by the debutant Uday Nandanavanam and popular writer Kona Venkat is producing it. The makers are promising a new approach of writing and filmmaking in this film. Nanditha Raj has been roped in as the film’s leading lady and more details about the film’s cast and crew will be revealed soon.